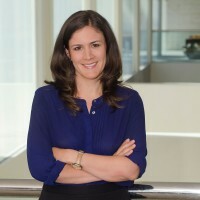 Julia Monti is vice president of global communications at Mastercard, overseeing communications strategy for the services groups. In this role, she drives engagement around the benefits of smarter, more secure payments and the insights and technologies that make them possible—driving toward a world beyond cash. A seasoned PR professional, Julia draws upon expertise and best practices from her background in the corporate, non-profit and agency worlds. Prior to joining Mastercard, she served as vice president for global communications at Nielsen, combining her love for great TV content, her fascination with the digital evolution and a desire to understand what makes consumers tick. Please connect with Julia via LinkedIn at www.linkedin.com/in/juliamonti. According to Mastercard SpendingPulse, which provides insights into overall retail spending trends across all payment types, including cash and check, holiday sales increased 5.1 percent to more than $850 billion this year – the strongest growth in the last six years.